Washington, DC. Japan, the United States, Britain, France and Italy agree to limit the displacement and main armament of their capital ships, aircraft carriers and cruisers and to limit the total tonnage and age of their capital ships and carriers. Battleships and aircraft carriers are set at a ratio of 5:5:3 for the navies of Great Britain, the United States and Japan. Tokyo. Laid down at Ishikawajima shipyard for the Imperial Army as a purpose-built vessel to transport and handle 10-in (250-mm), 12-inch (305-mm) and 16.1-inch (410-mm) turrets of old battleships disarmed in accordance with the Washington Treaty. After removal and overhaul, the turrets will be transported by Kijukisen (crane ship) from the breakers’ yards to various locations for use in coast defense. 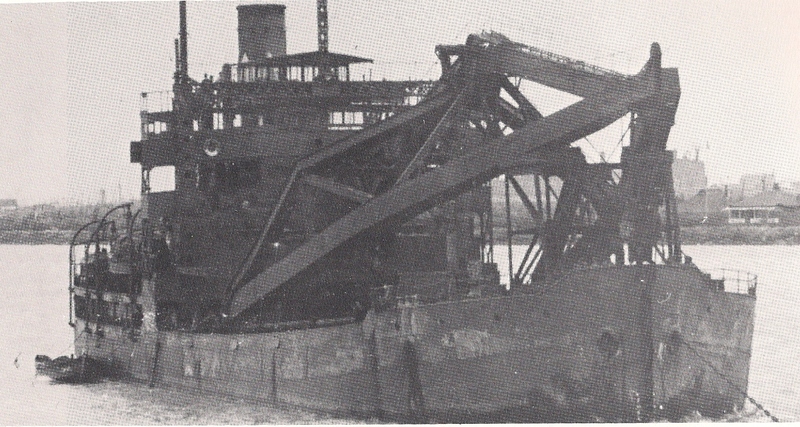 Completed and equipped with a 150-ton crane. Delivered to the Imperial Army and forms part of their fleet, denoted in peacetime by a black funnel with jagged white stripe in upper centre. Based at Ujina. Transports turret of scrapped battleship AKI from Yokosuka to the Joga Shima coastal artillery emplacement on Sagami Bay off Miura peninsula, Kanagawa prefecture. Transports turret of scrapped battleship IBUKI from Kure to the Tsugaru Strait's Oma Saki coastal artillery emplacement No. 1 on Aomori Bay, north Honshu. Transports turret of scrapped battleship IBUKI from Kure to NE Kyushu's Tsurumi Zaki (Tanga) coastal artillery emplacement on the Bungo Strait. Transports turret of scrapped battle cruiser IKOMA from Sasebo to Sunosaki’s coastal artillery emplacement No. 1 at the entrance to Tokyo Bay, Boso Peninsula, Honshu. Transports the turret of scrapped battle cruiser KURAMA from Sasebo to Sunosaki’s coastal artillery emplacement No. 2 at the entrance to Tokyo Bay, Boso Peninsula, Honshu. Transports turret of disarmed battleship SETTSU (later converted to target ship) from Kure to Tatsunosaki coastal artillery emplacement No. 1 on Tsushima Island in the Korea Strait, Nagasaki prefecture. Transports four 20-cm guns of scrapped battle cruiser KURAMA from Sasebo to Taibusa Misaki Battery at the entrance to Tokyo Bay, Honshu. Transports turret of disarmed battleship SETTSU from Kure to the Tatsunosaki coastal artillery emplacement No. 2 on Tsushima Island in the Korea Strait, Nagasaki prefecture. Transports turret of cancelled battleship TOSA from Mitsubishi, Nagasaki to the Taejongdae Battery coastal artillery emplacement outside Pusan port, Korea. Transports turret of battle cruiser AKAGI (converted to aircraft carrier) from Kure to the Kurosaki Battery on Iki Island in the Tsushima Strait, Nagasaki prefecture. Transports turret of battle cruiser AKAGI from Kure to Kurama Toyo’s coastal artillery emplacement, Nagasaki prefecture. Temporarily transferred to IJN for transport of military supplies; receives temporary radio call sign JRSU. Shanghai. Employed as a salvage vessel. Arrives at Singora, Siam (Thailand). Arrives at Batavia (Jakarta), Java (Indonesia). Arrives at Port Swettenham (now Port Klang), Malaya (Malaysia). Arrives at Lingayen, Philippines and departs later that day. Near Hong Kong. Runs aground in a typhoon. Later, deemed a total loss and probably scrapped in situ. Most western sources and some Japanese sources refer to SEISHU; however, two reports in JACAR, both refer to her as SEISHU MARU. One is her launch report, signed by the then current War Minister, which says expressly that her name-to-be is SEISHU MARU. The Navy report dealing with her temporary assignment also uses SEISHU MARU. This movement conflicts with an IJA gunnery history that states KASHIMA's turrets had been delivered by 1925, i.e. before SEISHU MARU was completed. Reportedly, SEISHU MARU's crew found and dived HMS REPULSE, but they may not have located HMS PRINCE OF WALES; however, accounts differ. The Japanese probably were trying to recover the radar equipment of the British ships, but with little success. After obtaining supplies in Singapore, SEISHU MARU was unable to continue the search because the IJA, probably to the consternation of the IJN, ordered her to the north coast of Java.